Today the most successful and profitable physicians’ practices rest on a foundation of medical office technology that helps them provide an excellent patient experience, reduce errors, and perform more efficiently. Here’s a look at the building blocks that go into that foundation. Electronic medical records, are also called electronic health records (EHRs), digital medical records or computerized medical records. Generally, an EHR is a digital record of patients’ medical histories. The records for all patients are stored in the EHR software, which can reside on servers at the office, or it can be delivered as a cloud-based service. Chances are, if you work in a large practice, you already have an EHR in place. To say that the medical billing and collections landscape is complex is an understatement. Without sophisticated software tools, practices risk errors and oversights that could result in significant losses to the business. Practice management software brings electronic health record, billing and collections, and scheduling capabilities all together under one roof. Most practice management software contains systems that allow users to enter and track patients; schedule and track appointments; send out insurance claims and statements as part of the collection process; process insurance, patient and third party payments; and generate reports. 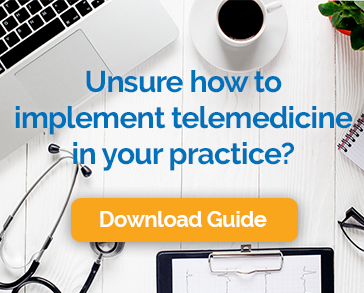 Telemedicine allows healthcare providers to evaluate, diagnose and treat patients using an online application with voice and video capabilities. The approach has been through a striking evolution in the last decade and it is becoming an increasingly important part of the American healthcare infrastructure. Practices that adopt the approach are able to grow revenue, cut costs, and provide a convenient cost-effective approach for patients. Online portals that give patients visibility into some of their medical information and the ability to schedule appointments are gaining in popularity. These solutions make it easy for patients to review test results, interact with providers via email, and even pay their bills. E-Prescription software can be integrated with the EHR or practice management solution of choice to automatically submit prescription orders and save time and reduce errors in filling medications. Embracing new technology can be a bit uncomfortable, but these days it is necessary to staying competitive and providing patients with high quality care. Fortunately, there are many alternatives to meet the needs of your practice.